I woke up today to clouds and rain. It was unfortunate after a wonderful weekend worth of weather, but since it was back to work anyway, it could be worse. 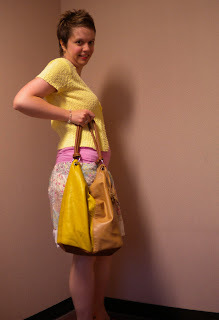 But, seeing as it was a bit glum, I chose a nice bright vibrant outfit. Many of these items were purchased previous summers ago, it's nice that they transcend the seasons. The only thing purchased this year is the pink cami. It is definitely brightening up the day! 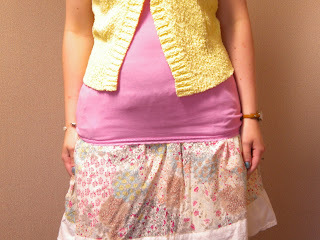 love that cardi and great colors! :) don't forget to follow!! Hey Tanya, I am following you via Google - I don't know if you see me, but I'm there.